Claim the Las Vegas Shooting? "This morning, the Islamic State's semi-official news agency, Amaq, took credit for the Las Vegas massacre, which killed 58 and wounded another. 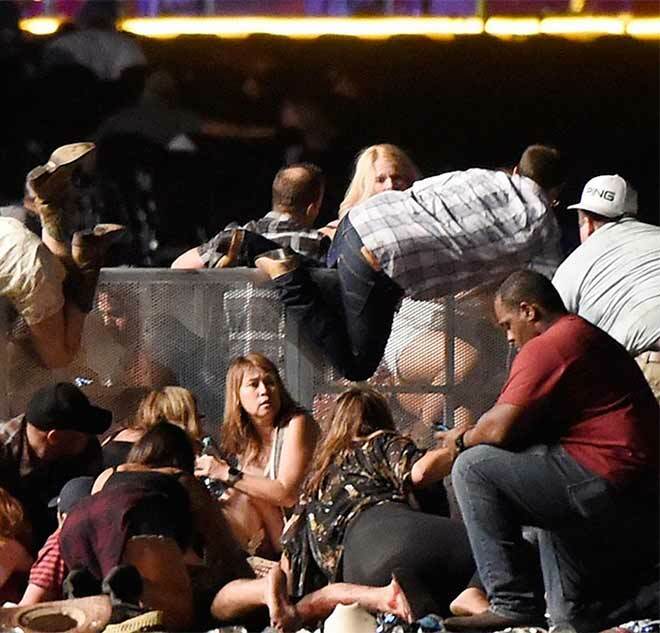 The likely killer, identified by police as 64-year-old Stephen Paddock of Mesquite, Nevada, was not known to be a supporter of the Islamic State, or indeed a Muslim of any type. For now, the only evidence that the Islamic State was involved is its own assurance—first a press release announcing that a 'soldier of the Islamic State' executed the concertgoers, and a follow-up for the baffled, explaining that he converted to Islam months ago. The FBI has stated that it doesn't believe the attack was related to international terrorism. "The sun has barely risen on Las Vegas, and there may be blood still slick on the Strip. Speculation about mass shootings in the hours after they occur is not just a fool's game but an impatient fool's. Evidence will be forthcoming, and these assertions by the Islamic State will be tested against reality. But already I hear a familiar chorus of doubt: The Islamic State will 'take credit for anything', it says, 'even hurricanes'." "The doubters do not have a preponderance of prior examples on their side. The Islamic State does not claim natural disasters. Its supporters rejoice in them, but they reserve their official media for intentional acts. Of course, insurance agents and Christians, too, sometimes consider the weather 'an act of God'." "The idea that the Islamic State simply scans the news in search of mass killings, then sends out press releases in hope of stealing glory, is false. "The vast majority of the Islamic State's claimed attacks were undertaken by men acting in its name, often after leaving short video statements confirming their intentions. The Amaq news agency is the preferred venue for the initial claim, usually within a day. (Sloppy reporters sometimes mistake the rejoicing of online supporters, meteorological or not, for an official claim.) If they were really so promiscuous with their claims, we would long since have ignored them, as we do claims from other yahoos who have tried to take credit for atrocities authored by others. The idea that the Islamic State simply scans the news in search of mass killings, then sends out press releases in hope of stealing glory, is false. Amaq may learn details of the attacks from mainstream media—and often gets those details wrong, also like mainstream media—but its claim of credit typically flows from an Amaq-specific source. "This Las Vegas claim may yet turn out to be false as well. They have offered no evidence—no cell-phone video from the killer, pledging allegiance in broken Arabic; no selfies of him, raising a finger of monotheism. Another absent sign of Islamic State involvement is videos from Paddock's rifle-scope. At attacks like the Holey Bakery in Dhaka, Bangladesh, the killers have uploaded real-time images, exclusive and corroborating imagery for Amaq. As with many subsequently verified attacks, we have not yet, in these early hours, seen any such evidence." And while many, many honest people who are on the cusp of these pathologies would protest our use of the word "HATE" and would vehemently defend the use of their hate against those who took part in the Mandaly Bay shooting and others they oppose "righteously" as a Christian, their thinking is not Biblical. The Bible says that if we as Christians are engaged in involving ourselves in these pathologies, we warring against the kingdom of Heaven. "Our Father which art in heaven, Hallowed be thy name. "Thy kingdom come. Thy will be done in earth, as it is in heaven. "And forgive us our debts, as we forgive our debtors. "Thy kingdom come. Thy will be done in earth, as it is in heaven." Jesus is praying that soon, His Kingdom will be established on earth as well as in heaven. "Give us this day our daily bread, And forgive us our debts, as we forgive our debtors." WE MUST AS CHRISTIANS FORGIVE THOSE WHO HAVE TRESPASSED AGAINST US, AND EVEN THOSE WHO WOULD ATTACK OUR CHRISTIANITY AND OUR CHRISTIAN CULTURE – regardless of whether they forgive us or not. There is no reciprocity!! !